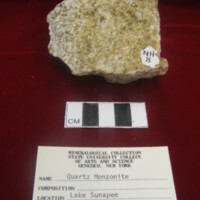 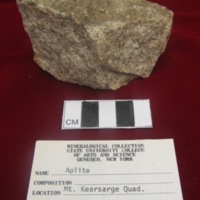 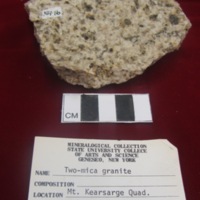 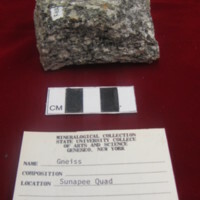 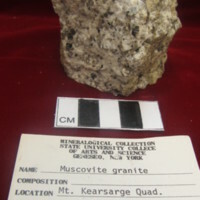 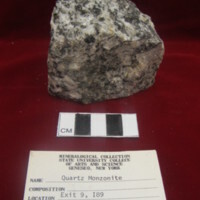 Garnet-rich quartz monzonite from the Kinsman Quartz Monzonite. 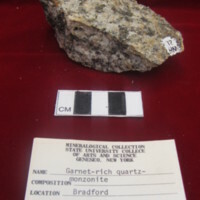 Garnets are replaced partly by biotite. 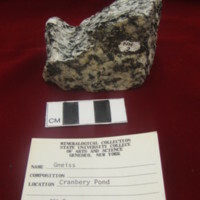 Some of the garnet forms pods and boudins. 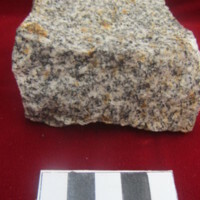 Similar sample to NH-9. 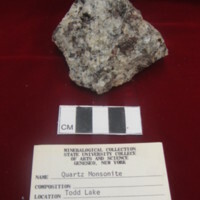 Hand sample shows large biotites, plagioclase, and quartz. 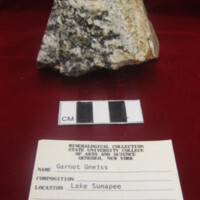 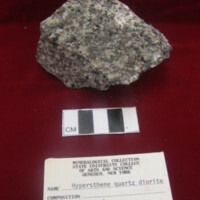 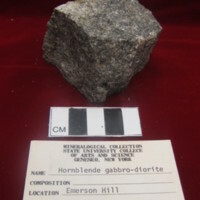 Hornblende Gabbro-Diorite from the Spaulding quartz diorite. 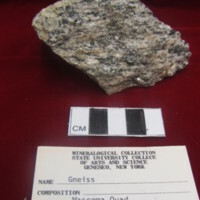 Thin section contains hornblende, plagioclase, and quartz. 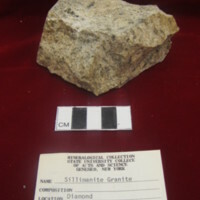 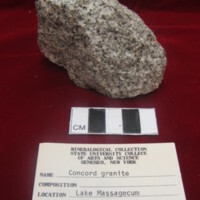 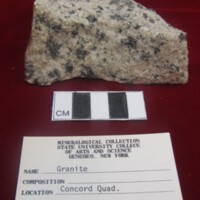 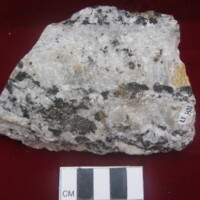 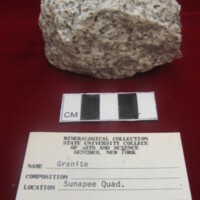 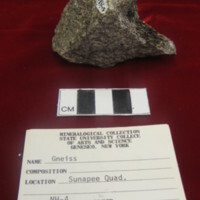 Hand sample contains hornblende, plagioclase, and quartz.